Dr Ashok Choudhury has completed his MBBS in 2004 with 3 gold medals, 3 honours and the best graduate of the outgoing batch and finished his MD Internal Medicine. He completed his Doctorate of Medicine (DM) in Hepatology at Institute of Liver and biliary Sciences (ILBS), New Delhi. Presently working as Associate Professor in the Department of Hepatology and Liver Transplant. Actively involved in the patient care both inpatient and outpatient as a consultant. He had undergone observership at Kings College Hospital London in liver transplant as well as at Virginia Common Wealth University, Virginia USA. For his outstanding work he received the prestigious Best fellow research award by American Association of Liver Disease (AASLD) in 2014 at Boston, young investigator by European Association for Study of Liver (EASL) in 2014 at London, in 2016 at Barcelona, Spain and by International Liver Transplant Society (ILTS) in 2016 at Seoul Korea and by APASL in 2017 at Shanghai, China and covered in Europe by webMD magazine. Currently he co-ordinates the APASL ACLF Research Consortium (AARC) multinational registry for Asia Pacific. Academics, student teaching and research in both the clinical and basic sciences also are in the corner. Advanced endoscopic procedures including ERCP and hepatic hemodynamic studies. Lead role as a transplant hepatologist that includes- pre-transplant evaluation, perioperative care and post transplant follow up including endoscopic procedure for biliary complications. Indian Society of Gastroenterology, Indian National Society for Study of Liver, European Association for Study of Liver. Best Graduate of 1998 - 2004 batch. MBBS Utkal University, Bhubaneswar, Orissa. AASLD 2014 BOSTON-clinical plenary and recipient of fellow research award A K Choudhury, Chitranshu Vashistha, Deepak Saini, Sachin Kumar, Shiv K Sarin. Prospective open label randomized noninferiority trial to compare the efficacy and safety of monotherapy with noradrenaline and terlipressin in patients of cirrhosis with septic shock admitted to Intensive care unit. (NCT01836224). AASLD 2014 BOSTON- poster : Ashok K. Choudhury, Chitranshu Vashistha, Chandan K. Kedarisetty, Shiv K. Sarin. Systemic Inflammatory Response Syndrome (SIRS) - a potential clinical marker for early sepsis and survival in Acute on chronic liver failure (ACLF). EASL 2014 LONDON- ORAL PRESENTATION (Top 10% of abstracts) :A.K. Choudhury, Chandan Kumar Kedarisetty, Pawan Wagle, Chinmaya Bal, Hitendra Garg , Chitranshu Vashistha, Rakhi Maiwall, S K Sarin. Predictors of terlipressin related adverse effects in liver cirrhosis and its influence on survival. APASL 2013 Singapore ORAL PRESENTATION : Hitendra Kumar Garg1, A K Choudhury, Amar Mukund2, Manoj Kumar1, Ramesh Kumar1, Shiv K. Sarin1. Early Use of TIPS Decreases Rebeeding and Improves the Survival in Cirrhotic Patients of EVL Ulcer Bleeding: A Prospective Study. APASL 2014 E POSTER: Choudhury A K, Garg H. Jindal Ankur, Vasistha C, Sarin S K. Response guided ascitic tap in spontaneous bacterial peritonitis predicts outcome. APASL 2014 E POSTER :Choudhury A K. Anand lovkesh, Taneja S K,Vasistha C, Sarin S K.. Spontaneous intracranial hemorrhage in patients of cirrhosis. ISGCON 2012 PRESIDENTIAL POSTER: Rakhi Maiwall, A K Chaudhary, Jaswinder Singh Maras, Chitranshu Vasisht, Zeeshan Ali, Hitendra Garg, Manoj kumar, Ramesh kumar, Z Mulu S K Sarin.High serum Ferritin level is a predictor of early mortality in patients with acute on chronic liver failure. ISGCON 2012 POSTER : Rakhi Maiwall , Choudhury A K, Vashishtha C, Zeeshn A W , Hitendra Garg, Manoj kumar, Ramesh kumar , V Bhatia, P Singh, Sandipan Chandra, Sarin S K Serum Ferritin levels predict 30 day mortality in patients with Decompensated cirrhosis. • Asian Pacific Association for Study of Liver (APASL) -Young Investigator Award 2017 (Declared), Shanghai China. • International Liver Transplant Society (ILTS)-Young Investigator Award 2016, Seoul Korea • Best poster Award TRANCRIT 2016,ILBS New Delhi • American Association for Study of Liver Diseases (AASLD)- Best abstract, Fellow Research Award 2014, 2014 Boston USA • EASL 2016 London- Full bursary as young investigator. Plenary paper: The decision for liver transplant in Acute on Chronic Liver Failure (ACLF) - first week is the crucial period. Analysis of the APASL- ACLF Research Consortium. (AARC) prospective data of 1402 patients. Ashok Choudhury… Shiv K Sarin for the APASL ACLF working party. Oral paper: The decision for liver transplant in Acute on Chronic Liver Failure (ACLF) - first week is the crucial period. Analysis of the APASL- ACLF Research Consortium (AARC) prospective data of 1021 patients. 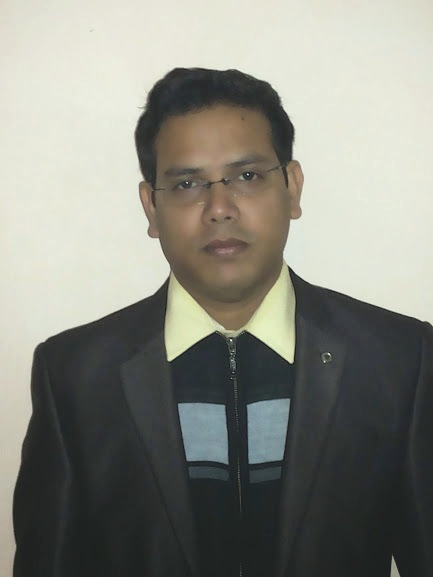 Ashok Choudhury… Shiv K Sarin for the APASL ACLF working party. Plenary paper-AARC-ACLF Score predicts 28days survival better than CLIF-SOFA and MELD scores in patients of ACLF. Ashok Choudhury… Shiv K Sarin for the APASL ACLF working party. Poster presentation: Terlipressin related adverse effects in-patient of cirrhosis- A prediction model for prevention. Ashok Choudhury, Anand Kulkarni, Apurva Pandey, Chandan K Kedarisetty, Pawan Wagle, Priyanka Jain, Guresh Kumar and Shiv K Sarin. INASL 2016, New Delhi on Sepsis in ACLF to be part of definition-a debate. ENDOSCOPY Pathsala, ILBS 2016, New Delhi on Obscure Overt Bleed and endoscopic approach. Case report Bihari C, Rastogi A, Saxena P, Rangegowda D, Chowdhary A, Gupta N, Sarin SK.. Parvovirus B19 associated Hepatitis. Accepted. Hepatitis Research and Treatment. 2013. 472027V3, 04-09-2013.
Review article- Bihari C1, Rastogi A, Saxena P, Rangegowda D, Chowdhury A, Gupta N, Sarin SK. Parvovirus b19 associated hepatitis. Hepat Res Treat. 2013; 2013:472027. doi: 10.1155/2013/472027. Epub 2013 Oct 22.